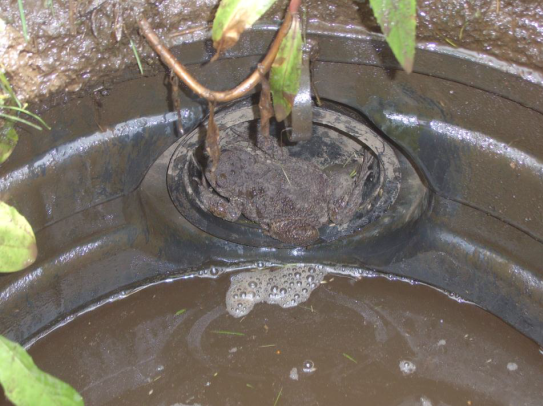 The Amphibians in Drains Project was started in Perth and Kinross in 2010 after observations that a significant number of roadside gullypots contained dead amphibians and small mammals. Roadside gullypots are essential for road drainage but can act as pitfall traps when animals fall through the grid at road level. Once trapped it is unlikely the animals will be able to survive for any length of time. It was identified that a more robust study to ascertain the scale of the problem was required. The Amphibians in Drains Project was born! More about the amphibians in drains project here. Red Squirrel can be seen at many sites in Perth & Kinross including the Knock at Crieff, the Birks of Aberfeldy and even close to the city at Kinnoull Hill. Look out for nibbled pine-cones – a good sign of red squirrel activity! These small squirrels can be quite secretive, but you may see them scaling a Scots Pine or leaping through the branches. Pine marten are almost never seen, but that doesn’t mean that they aren’t here! These animals are closely related to weasels, otters and badgers. When they are spotted it’s often around dawn or dusk when they are most active. Recent studies have linked the presence of Pine Marten to increases in populations of Red Squirrel! Figures from the British Trust for Ornithology show that between 1994 and 2003 there was a 62% decline in the population of Scottish swifts. It is thought that a major contribution to this decline is the loss of nesting and feeding sites. In the past swifts nested exclusively in caves, tree-holes and cliffs. However, as human activity has reshaped the countryside, most swifts now nest in buildings. Nests can be found under tiles, under eaves, or in holes in walls. Swifts don’t damage buildings and make very little mess. The Salmon in the Classroom Project was started by Dumfries and Galloway Fisheries Trust and the Local Dumfries Council in 1996 and was originally introduced into local primary schools as a bio-diversity and conservation project. The objective of the project is to involve children at an early age in a hands-on creature lifestyle. 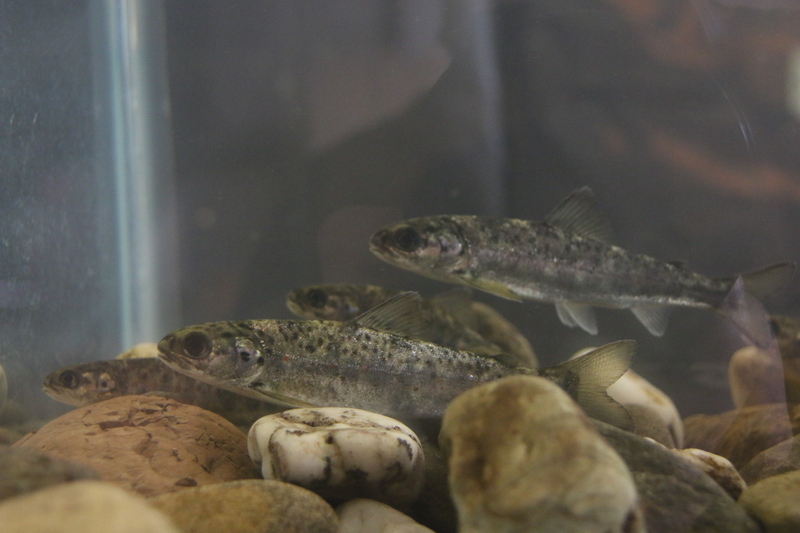 The children learn the importance of the environment and conservation by exploring the lifecycle of salmon; from hatching eggs in the classroom to releasing young salmon into the river. Perth and Kinross Council became involved in the project nine years ago with the help of the Tay Salmon Fisheries board, based at Almondbank near Perth, who supplied all the equipment required to start the project in this area. The project is taken forward and activated by Perth and Kinross Council Ranger Service who deliver all the information, talks and equipment needed for the schools to complete the project. What wildlife have you seen in your area? Let us know here! I see ducks frequently on the pond at Loon Braes, Rattray. Hi Daniele! Do you know what species of ducks you are seeing? Yes, they are beautiful ducks! The Little grebes have chicks just now too.